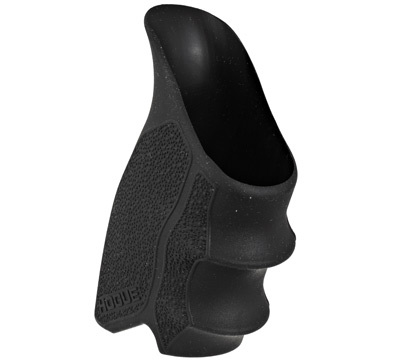 The Beavertail Grip Sleeve is installed by slipping it over the Security-9® grip frame until it seats perfectly into position. The sleeve matches the unique contours of the polymer frame for a secure and comfortable fit. 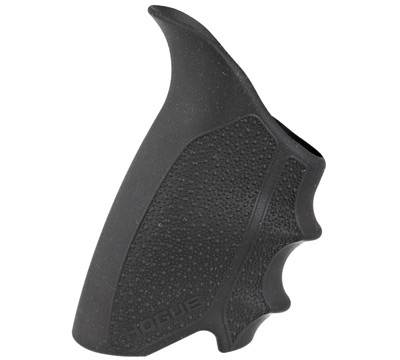 The sleeve provides a single finger groove for instinctive handling and control of the firearm. The finger groove leads into a gentle palm swell that has been carefully designed to fit naturally in the hand. The beavertail built into the grip sleeve rises high along the backstrap of the frame. 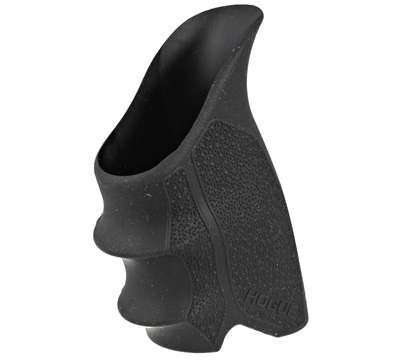 This provides full rubber contact with the hand allowing a higher hand-placement on the grip without the fear of the slide biting the skin between the thumb and the trigger finger. In addition to protection and comfort, the beavertail also cushions the hand during recoil by providing better distribution of recoil forces. 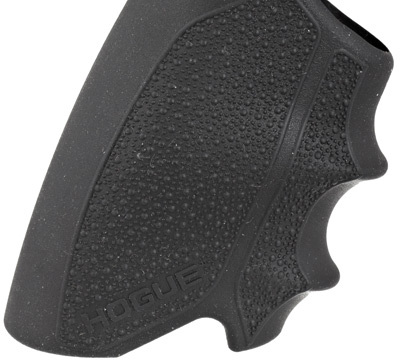 Made in the USA by Hogue®.